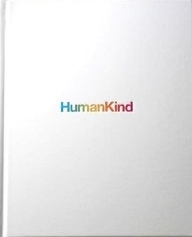 AgencySpy already had their competition to give away five copies of Leo Burnett's new book, HumanKind, written by agency Chairman and CEO Tom Bernardin and Creative Director Mark Tutssel. The book, which we haven't completely read yet, is "not about advertising or brand propositions or selling products, but a story of people, purpose and changing behavior. It's a look at marketing that serves true human needs and not the other way around." A lofty goal, indeed. Highlighting some of the agency's best work, the book focuses on the agency's four principles of people, purpose, participation and populism, the book is one we know we'll be a fan of. It's got lots of pictures and not a lot of words. It's a picture book or sorts for those of us that just want to wallow in the world of advertising without being subjected to pointless pontification. 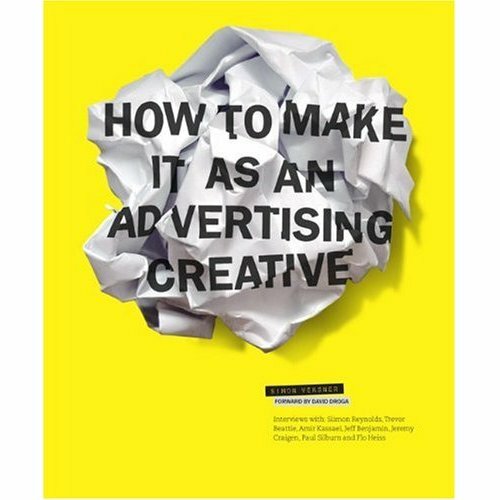 Of his new book (entitled How to Make it as an Advertising Creative), BBH's Simon Veksner, publisher of the Scamp blog, tell us, "I know there's a lot of ad books out there, but I'm hoping mine's a little different. 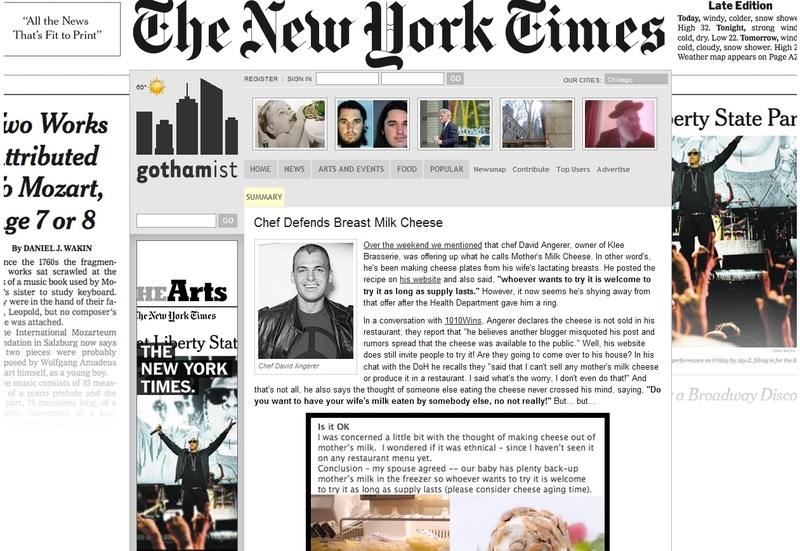 There's nothing in it about what makes a good ad, or how to write a good ad. Instead, it's all about what you need to know to be a successful creative, above and beyond being good at writing ads. So it's not about craft, it's about guile. It's about how to get the best out of directors, how to find the right partner, and how to sell more of your ideas to your CD." In writing the book, Veksner spoke with Trevor Beattie, Jeremy Craigen, Paul Silburn, Flo Heiss, Jeff Benjamin (interactive ECD at Crispin Porter), Amir Kassaei (chief creative officer of DDB Germany) and Aussie creative entrepreneur Siimon Reynolds. And the book's forward is written by David Droga. Once we give it a read, we'll tell you more about it but we like the approach. 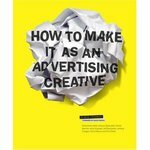 We don't need any more "how to make a great ad" books. Remember the Where the Hell is Matt guy, Matt Harding? He was the guy that made goofy videos of himself doing a goofy dance in different places all over the world. The videos became a viral sensation and Stride gum eventually sponsored his videos. The videos were heavily in the "feel good" category and simply by dancing with people in different countries all over the world, he made it seem like all the worlds problems could easily be erased if we all just danced with Matt. 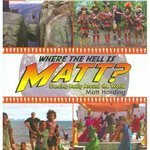 Well, Matt's out with a book now that focuses on his travels, his videos, who he met on his travels and how the whole thing started. Bob Garfield has never had kind words for what we do here at Adrants. And we've rarely had kind words for what the man does over at Advertising Age. But, he's been around forever and he deserves our respect. And he's going to get. We're going to kindly mention he's out with his long-awaited new book, The Chaos Scenario. It's an expanded version of several essays he wrote a few decades ago (OK, years) about how the drastic changes in the media landscape are killing advertising as we know it. Or at least that's what everyone says it's about. We haven't read the thing yet. The book will be out on Kindle in July and will release August 3 as a paperback. What, Bob, no hard cover? Like Howard Stern used to intone "permanent record" as part of a shtick, Garfield, on the promotional site, intones, "The Powers That Be" as he refers to the shifting changes occurring with mass media. So, like a dutiful advertising media outlet, we urge you to check out Bob's book and his website. We're sure you'll hurry back and let us know what you think.